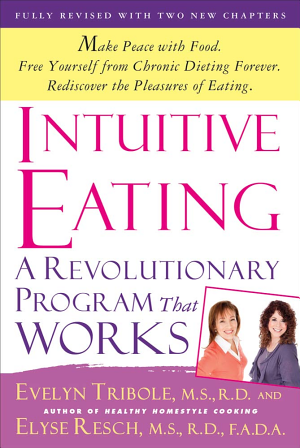 Starting November 19, a group studying the book, Intuitive Eating, A Revolutionary Program That Works, by Evelyn Tribole, MS, RD and Elyse Resch, MS, RDN, CEDRD, Fiaedp, FADA, with a dietitian-led group discussion by Michelle Esposito, RD, CNSC, LD. Participants can learn from others that are being transformed at the same time, and a book and education materials are provided at every session. They will rediscover the pleasures of eating and rebuild their body image. ​Space is limited. Save 40% with early registration before November 6th!! Email rd@believeitbringitachieveit.com to secure your spot.